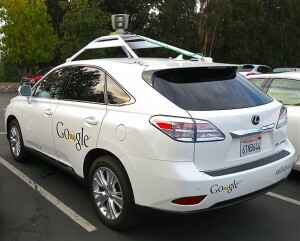 In California, Google run a fleet of driverless Toyota Prius, Lexus RX450h and Audi TT cars. Laws are such that you do need a driver behind the wheel “just in case”, but they’ve done (by April 2013) over 435,000 self driven miles without a single accident to date. Even doing impressive things (if you have a spare 3 minutes, i’d encourage you to watch this video). Peter Norvig and Sebastian Thrun are two Stanford professors heavily involved at that project at Google. In 2011 and alongside their work at Google, they opened their “Introduction to Artificial Intelligence” course at Stanford University for free – online – to anyone in the world who wanted to complete it. Over 100,000 subscribed, and with it started the Massive Open Online Course (MOOC) industry. 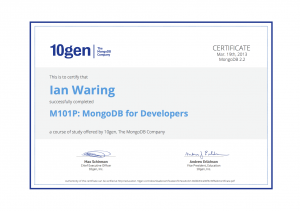 MongoDB used the same structure of online teaching to offer two free courses last year, nominally training people who wanted to program and administer databases using their market leading MongoDB NoSQL database. 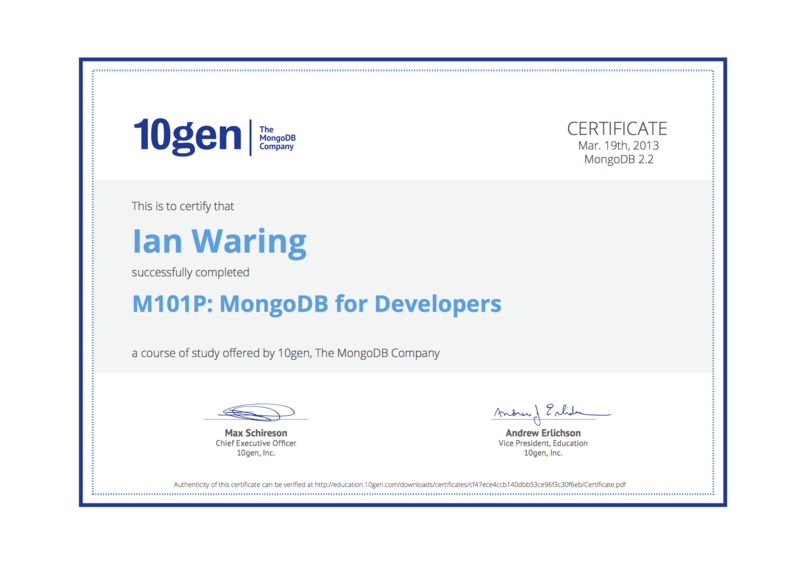 Armed only with my MacBook Air on my dining table, I joined over 6,600 other hopefuls to do their free, 7 week long, 10 hours/week M101P: MongoDB for Developers course. 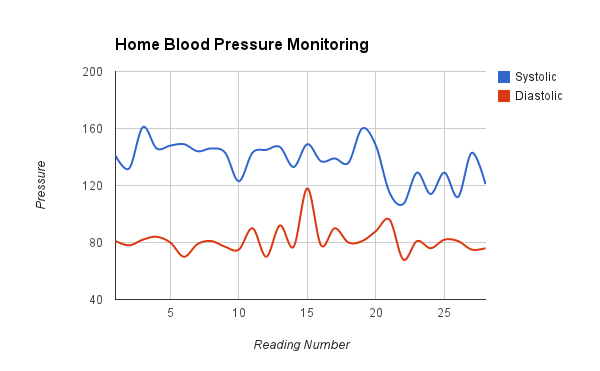 This included examples in Python, which we learned as part of the syllabus. 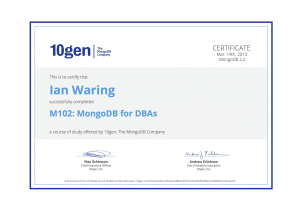 I also joined over 6,400 other students doing the equivalent M102: MongoDB for DBAs course. You learn from short videos with frequent knowledge test quizzes each week, up to 10 hours per week per course, but in start/stop gaps around your other work/personal commitments. You then have a set of homework exercises to run on your own machine, which have to be completed and answers posted on their portal within a week of issue. New videos are released every Tuesday morning at 4am UK time, and the matching homework is to be in within a week. At the very end, Week 7, you have a final summary and a final 10 or 11 final exam questions to answer that week. There is plenty of help on hand from the instructors and a small number of teaching assistants on each courses forum, though many of the queries are answered by fellow students. 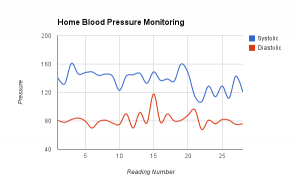 I’ve been doing similar but business orientated things in Tableau Desktop Professional for over 5 years (exposing underlying trends, sometimes leading to spectacular business results), but I’ve no doubt I’ll learn new and useful techniques with a fresh perspective from Google and the tools they use. To this end, i’ve registered on their free Making Sense of Data online course and am ready to go (part time!) from March 18th until April 4th. So, lots to pique anyones interests, and to keep learning. Which courses are you going to do this year?